2. Arrange figs, cut sides up, in a large shallow baking pan. Sprinkle sugar evenly over fruit and broil 2 – 3 inches from heat until most of the sugar is melted and deep golden in places, 3 – 5 minutes. 3. 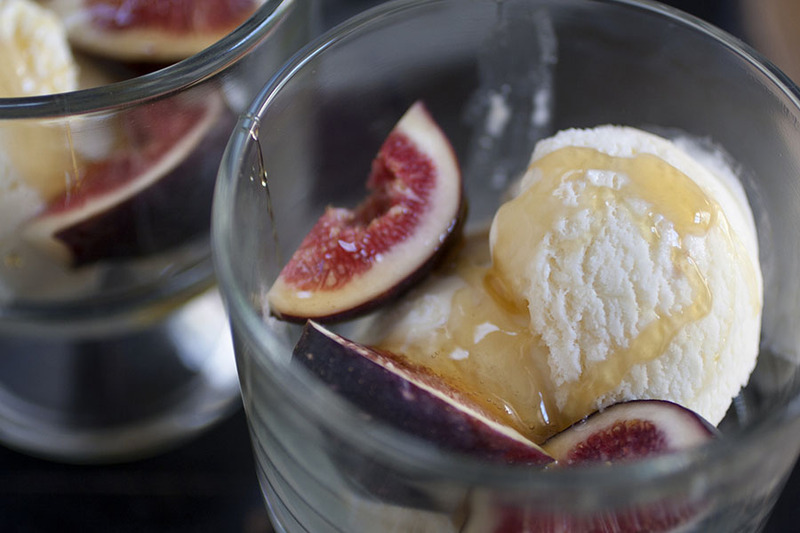 Immediately serve figs over ice cream, drizzled with vinegar.